Though more frequently known for its tightly packed high rises and urban glitz, Hong Kong also boasts some of the best-preserved nature parks in the Greater China area. 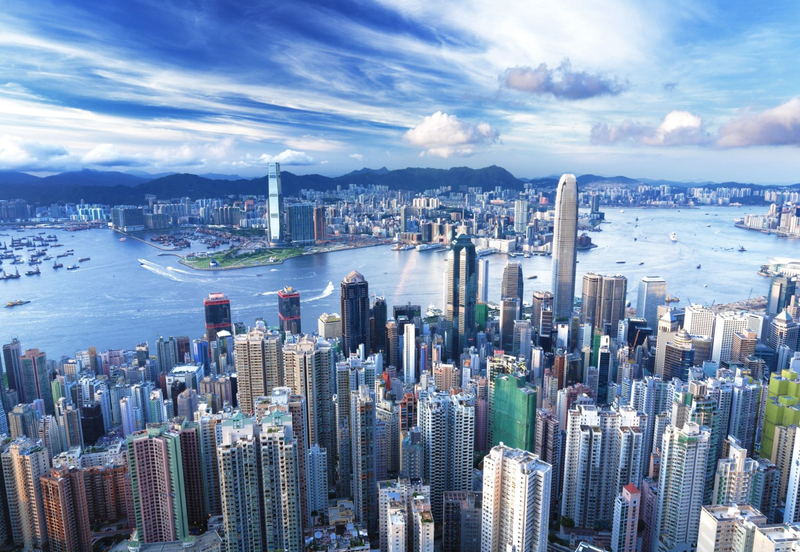 This itinerary is designed for maximum exposure to both the metropolitan side of Hong Kong – taking city trams, and visiting markets, as well as the breathtaking natural and spiritual sites – going to see the Tian Tan Buddha, kayaking in the ocean, skim boarding, and hiking up the jaw dropping Lion’s Rock peak. Additionally, students will enjoy a boating excursion amongst the floating markets and villages of Tai O, stopping off to boat into deeper ocean where Pink Dolphins make their home. Finally, students will also visit Macao, a former colony of Portugal to sight-see vestiges of the occupation and to stroll along Macao’s glamorous casino districts (note: students will not be allowed to enter the casinos). Our school trips are completely customizable and can be tailored to meet your requirements. Want to visit Hong Kong & Macao but with a different subject focused themes such as culture, Mandarin, geography, STEM, art or music? Speak to a specialist now to find out which additional destinations and itineraries are available for this trip. Arrive and meet our trip leaders before transferring into the heart of the city. After checking in to the accommodation, we will go on a short walking tour of the surrounding area. Students will be briefed on expectations and safety guidelines for the week’s activities. We kick off our program by taking the tram up to Victoria Peak for stunning views over the city and harbour below. 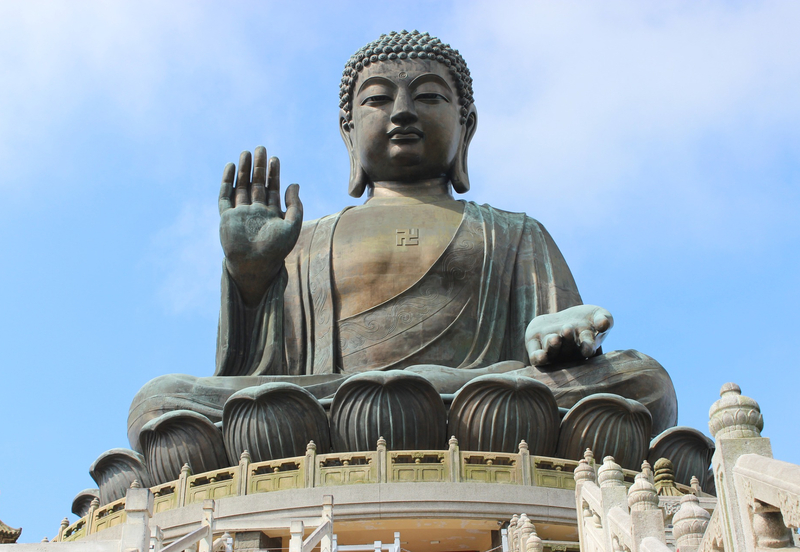 Today we escape the metropolis to visit Lantau Island and take the Ngong Ping 360 to visit the Big Buddha. The cable car ride is described by CNN as one of the world’s top ten cable car rides and stretches for over 5 kilometers over Hong Kong’s mountains. Next, it’s off to Tai O for a look at how the traditional boating communities live. Take a short boat trip for a chance to see the endangered pink dolphins (sightings are rare). Finally, students hit the beach to learn Ocean-Kayaking or Skim Boarding on the pristine coastlines of Lantau. Students wake early today to go to Macao via ferry at the Hong Kong-Macao Ferry terminal. A former colony of Portugal, Macao is best known for its casinos, but also their egg tarts and beautiful colonial architecture. Students have the option of a guided tour, or participating in our 1-day Macao Challenge; an ‘Amazing Race’ type adventure game. Upon returning in the evening, we go to experience the hustle and bustle of the Temple Street Market. The Lion’s Rock Hike is one of the more challenging, yet rewarding, hikes in the Hong Kong area. They are home to many macaque monkeys and students will have the chance to see real monkey colonies in their natural habitat (special safety briefing provided prior to hike). While they eat their packed lunches, students have the opportunity to sketch the incredible views of Kowloon and the whole of Hong Kong. After a short rest back at the accommodation, we will be mobilizing to do some service work in and around the streets of Hong Kong. Service projects depend on need and availability, typically, options include working with the homeless, underprivileged children, the elderly, and urban clean-ups. (Already know what type of service project you’d like to work on? Let our specialists know). If there is time prior to the flight, we visit Stanley Market, a beautiful market area located next to a prime beachfront area. We say goodbye to our guides and trip leaders and transfer to the airport. Apply what we’ve learned from our experiences here back at home. Creativity; Students sketch and use their creativity to solve the puzzles set for them in our Macao Challenge. Depending on the service project assigned, students may be asked to design solutions to real-world problems. Action; through activities such as hiking and ocean sports, students will gain physical confidence and experiences. We aim for students to develop fun and positive associations to exercise. Service; work with an NGO for a half-day (can be extended to full day) on real-world issues that affect Hong Kong.